Abdon is a scattered rural hamlet situated high on the slopes of Brown Clee Hill, in a beautiful location overlooking the Corvedale. 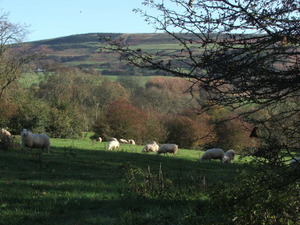 We form part of the South Shropshire Hills area of outstanding natural beauty (AONB). Abdon consists of approximately 28 dwellings and includes the parish church of St. Margaret's, a Village Hall and the remains of a deserted medieval village. Close by are the remains of an Iron Age hill fort now known as Nordy Bank. Abdon Burf, the peak of the Brown Clee Hill, is the highest point in Shropshire at 540 metres (1,770 ft) above sea level. There are a number of footpaths and bridleways from which to explore the area. Parking is available at Abdon Village Hall. Local facilities can be found in Ditton Priors 3 miles away including: village shops, post office, tea room, petrol station, public house, doctor's surgery and school.